We love to watch the Oscars. We try to watch as many of the nominated movies so we have an opinion. Before any of the bigger awards are given out I want to share my favorites. Hidden Figures: A brilliant story with excellent actors. How have we missed these historical women's stories! I thought this one was really well done. I need to read the book now and am thrilled to have this up for best picture; a great ensemble piece. Lion: I saw this yesterday morning here. I specifically knew this would be great to see on the big screen. I loved especially the train moving through the mountains. I loved this story of loss, survival, instinct, and a boy's love for his mother. I thought everyone in this film did an amazing job as well. Arrival: I believe this movie spoke to us about how we communicate; how deep are you really willing to go? And I love that the story was not cyclical making the viewer question when exactly certain events took place. I thought the back story of her life (Amy Adams) was an important element. Hacksaw Ridge: I had a really hard time with parts of this movie (war = blood/guts) but the incredible tale of pacifist Desmond Doss. As a peace activist myself I respected his deep commitment to not carry a gun. I'm not a fan of Mel Gibson but I thought this was a very well-done movie. Loving: Like Hidden Figures this is a story that people need to know. Love is love no matter who you are and who you choose to love. This film highlights the Loving family who took their right to marry all the way to the Supreme Court. We are all grateful for their difficult journey to change this law. Captain Fantastic: This is a delightful tale of a family living off the ground in Washington state. He's teaching his 6 kids how to survive but it's a hippy thing instead of a religious thing which, of course, made it much more interesting to me. He's kids are unique, brilliant and free thinkers. The best part is the end when Viggo shows he can adapt. I especially loved the kid's costumes. Florence Foster Jenkins: Funny! Meryl is just so talented. I loved the joy she shares through her love of the arts. Her husband adores her and that is magical. The costumes and the supporting roles were also very good. Do you watch or care about the Oscars? As a political person, an eco-friendly person, a concerned citizen I am worried about our world right now. The Oscars to me is an escape but also an inside look at our world. 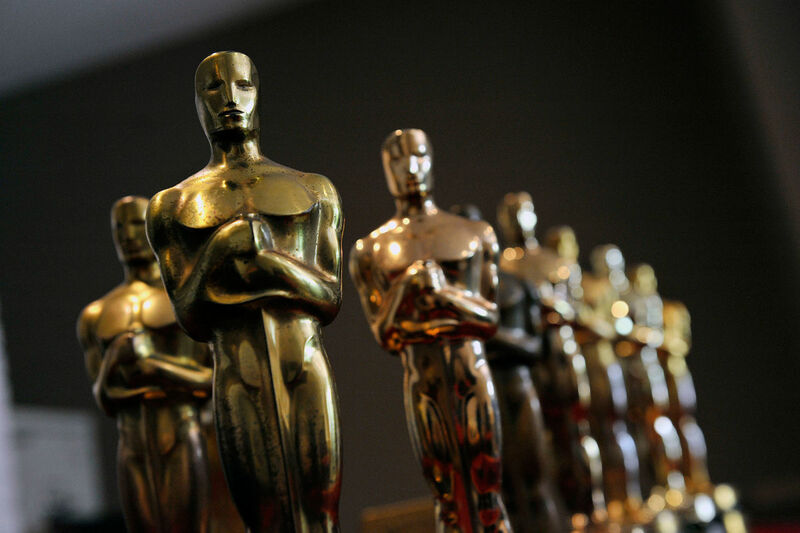 Will the Oscars choose diverse or a more white-centric view? Whether you watch or not the above films are above and beyond amazing stories to be enjoyed for more than just their artistic value. They share something about our human story. Enjoy. Here is my life changing moment. One day last Spring I received a message on FB's messenger, it just happened to pop up on my phone while I was sitting at my desk. The message stunned me and I cried right there at my desk. It said: "Hey Mrs Holt! Do you remember me?" Anton was a student of mine in North Little Rock, AR at Seventh Street Elementary. He'd been searching online for 6 years for me. 10 years ago we left Little Rock and moved back to Iowa. It's not much to go on when you've only ever called someone "Mrs. Holt" but eventually I showed up on FB for him. Miracle. We communicated for over a year back and forth from Iowa to Texas and eventually his situation changed and we made the family decision to bring him here to Iowa-on the bus. It took 3 days. He'd never travelled that far on his own. He was so proud of himself for being willing to go far from home. He wants to go to school, he wants to work, and live life like others do. He just needs a leg up. He is the first in his family to graduate from high school and he wants more out of life than what he has seen. I knew he was worth it way back in 5th grade when I helped him frequently at home and at school. He is adjusting to Iowa, the cold, and being part of our family again. Every day teachers make connections with students. We are teaching young human beings how to be human; how to think, create, and navigate the bigger world around them. It is seriously important work. Most often we make a daily brief impression (make it kind) but every once in a while you make a life-changing affect on a person and that is monumental for both. It might make you cry at your desk at some point. That Anton would look for me for 6 years brings me such joy; knowing that as a 5th grader he was paying attention to everything we did together. I wish he could have found me sooner but it worked out when it did. I'm grateful for our time together now. What a big fat hassle! I've been locked out of my blog for about 2 weeks now. When I recently renewed my domain name I was forced to do it through G-Suite, which is technically for business purposes but somehow all of blogger is shoved there now as well. Blech. It was a huge pain to renew and then I kept getting messages that I didn't have a blog registered to that account. Anyway I hope I'm now up and running again. We shall see when I try to post this. I have a few major posts I've been saving up but want to make sure this works first. So stay tuned for a major life story worth of Lifetime Television coming up on the next post. As long as I don't get cut out again. If this continues to be a problem I want to know how hard it is to move the contents of my blog out of google entirely. It seems they don't play well together. I am so good at making lists and checking them off. I learned to make small lists a few years back (3 items about) which is helpful but it also means I make a new list every couple of hours. I looked at my January books on GoodReads and thought it made a pretty good list of interesting titles. 1. 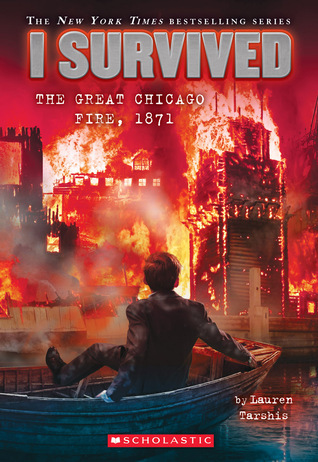 I survived the Chicago Fire, 1871 by Lauren Tarshis (2015) This is an early elementary fiction book so pretty easy to read and in fact I read it over my lunch hour one day. It is on the list for our Iowa state awards and I wanted to get it back out there circulating so I just sat down and read it. It was an exciting story and I can see why kids keep coming back to this series created by Tarshis to bring history to young readers. It works; I learned and was captured by the excitement. 2. 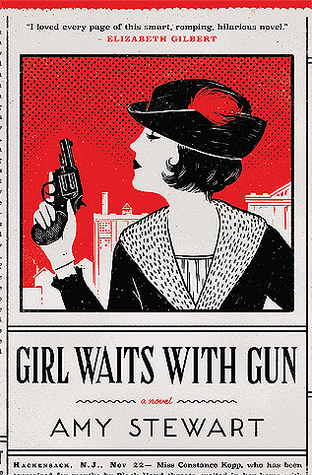 Girl waits with gun by Amy Stewart (2015) This was our January pick for book club and I really enjoyed this charming mystery. Three eccentric sisters live out in the country and have problems with a rich factory owner who hassles them with a group of thugs. This book has a few interesting twists and is a quick read. 3. 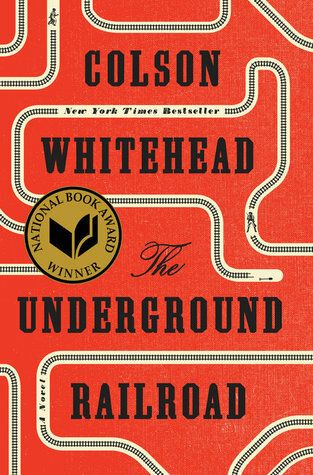 The Underground Railroad by Colson Whitehead (2016) I have a love/hate relationship with this book. Most of it is so real, brutally real, make-you-cry-and-put-the-book-down cry. I loved the actual train and train stations created by Whitehead. The characters are vivid and were real to me. It is an incredible read and should be read by many Americans. Especially now. I'd like to send a copy to @potus so he could brush up on some black history. 4. 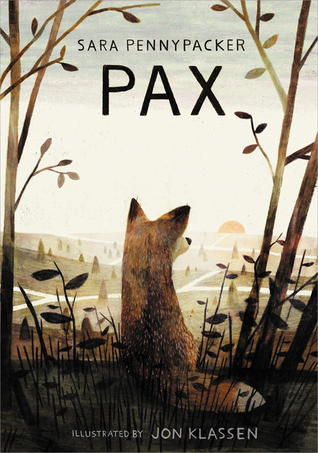 Pax by Sara Pennypacker (2016) This is an amazingly sweet tale by Pennypacker about a boy and his pet fox. Reading the back of the book I didn't quite know about how the story was going to work but it did-it won my heart. Peter rescues this small kit and the two have been inseparable until bad things begin to happen in his young life. This has an unknown setting with a bit of a dystopian feel to it; a war is happening over water but it is subtle and well-done. This is a wonderful story of friendship on many different levels. 5. 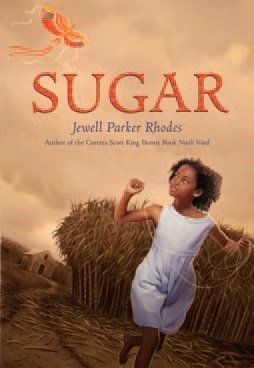 Sugar by Jewell Parker Rhodes (2013) Sugar is a captivating main character born into a life of sugarcane. She hates almost all of her life but she has a sense of simple joy about her. Her mother has passed on and she is left on her own during this time of Reconstruction in the South. She wants her life to be bigger and bolder, she has dreams, and they don't include working for the man for pennies. One of her dreams is to be friends with the plantation owner's son Billy. Rhodes created a very spunky character in Sugar; one that can teach us more about ourselves. Put any of these on your reading list. And then check them off!